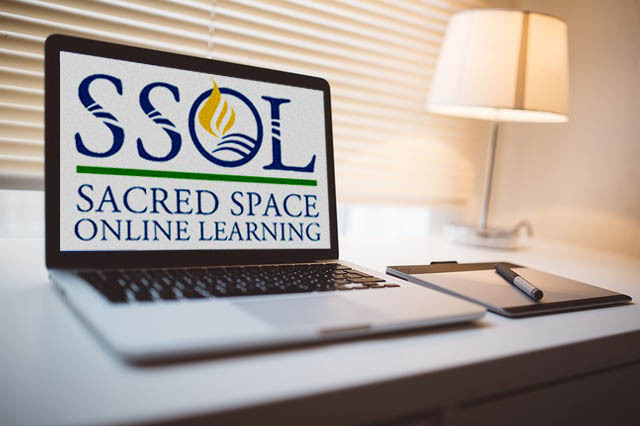 SSOL is created with online courses, webinars, and on-demand webinars from over 60 organizations. 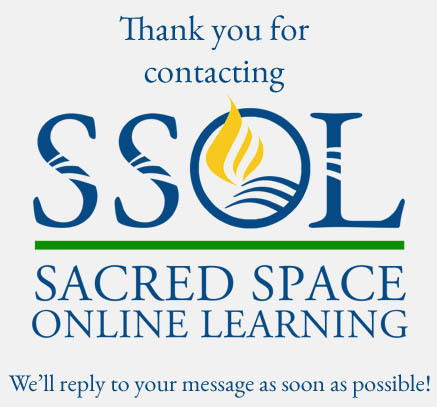 Explore the SSOL Catalog by browsing one of our many SSOL Sources listed below. Amnesty International is a non-governmental organization focused on human rights with over 7 million members and supporters around the world. BeADisciple.com provides quality, online educational experiences with roots in Wesleyan theology. While their background and primary perspective is United Methodist, they believe in an ecumenical mission. Bethany Theological Seminary is the graduate school and academy for theological education for the Church of the Brethren. Rooted in Anabaptism and Pietism, the Church of the Brethren offers a unique blend of practicality and spirituality. Brethren emphasize service, simple living, and the importance of the faith community. The Center for Action and Contemplation seeks to empower individuals to live out their sacred soul tasks in service to the world through contemplative programs and resources. The Center for Progressive Renewal seeks to renew Christianity by training entrepreneurial leaders, supporting the birth of new congregations, renewing and strengthening existing churches, and growing a network of progressive ministries that support and nourish each other and bring about a more just and generous world. In the New Testament, the word “brethren” describes a community of men and women who chose another way of living: the way of Jesus. The Church of the Brethren, begun three centuries ago in Germany, still draws people who want to continue Jesus’ work of faithfulness and loving service. Church of the Brethren members serve others, pursue peace and justice, partner with others around the world, and live out their faith. As the successor to the former Council of Churches for Britain and Ireland, and before that the British Council of Churches, Churches Together (of Britain and Ireland – CTBI) has a long history. They believe all Christians have one basic calling – to worship God, to share the good news about Jesus Christ and to work for the good of all people. 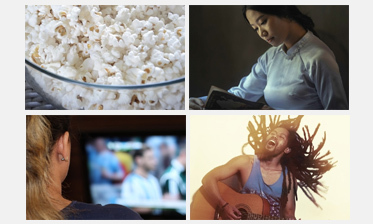 ChurchNext offers free, open online courses for all who desire to journey deeper into faith. They believe in learning from great teachers. They believe in learning actively and socially. They believe that God is present among us and, therefore, the studies undertaken often have a transforming effect. Clergy Financial Resources is a national accounting and payroll organization serving churches and clergy in 50 states. Curtin is a leading Australian university with campuses in Australia & South-East Asia offering undergraduate, postgraduate & research opportunities. Duke University is a private research university located in Durham, North Carolina, United States. Founded by Methodists and Quakers, the mission of Duke University is to provide a superior liberal education to undergraduate students, attending not only to their intellectual growth but also to their development as adults committed to high ethical standards and full participation as leaders in their communities. The Episcopal Church (TEC) is the United States-based member church of the worldwide Anglican Communion. The church was organized after the American Revolution, when it became separate from the Church of England and The Episcopal Church describes itself as “Protestant, Yet Catholic”. The Evangelical Lutheran Church in America (ELCA) is one of the largest Christian denominations in the United States. They are the church that shares a living, daring confidence in God’s grace. The Great Courses are uniquely crafted for lifelong learners like you, with engaging, immersive learning experiences you can’t get in a lecture hall. Harvard University is a private Ivy League research university in Cambridge, Massachusett. Harvard University is devoted to excellence in teaching, learning, and research, and to developing leaders in many disciplines who make a difference globally. The Institute for Vital Ministry (iVM) connects individuals and organizations with one another, and with resource partner agencies and institutions and practitioners for the purpose of imagining and living into deeper and richer human flourishing.. The Insurance Board is a nonprofit corporation established by the participating Conferences of the United Church of Christ. They administer a property and liability insurance program serving churches and related entities within four denominations: United Church of Christ, Christian Church (Disciples of Christ), Presbyterian Church (USA), and Alliance of Baptists. Loyola University New Orleans, a Jesuit and Catholic institution of higher education. Inspired by Ignatius of Loyola’s vision of finding God in all things, the university is grounded in the liberal arts and sciences, while also offering opportunities for professional studies in undergraduate and selected graduate programs. MasterClass makes it possible for anyone to learn directly from the world’s best. MasterClass takes a unique approach to online learning by working with globally-recognized instructors and Emmy and Academy Award winning directors to create a new kind of class. Metropolitan Community Church proclaims and practices a spirituality that is anchored in the liberating Gospel of Jesus Christ and confronts the issues of their volatile, uncertain, and complex world. They are called to develop and equip leaders, congregations, and ministries that foster spiritual growth, do the work of justice, act with compassion, and integrate sexuality and spirituality. Missouri State University is a public, comprehensive university system with a mission in public affairs. Their purpose is to develop fully educated persons with a focus on ethical leadership, cultural competence and community engagement. New York University is a private nonprofit nonsectarian research university based in New York City. 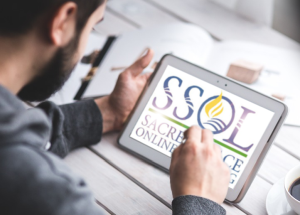 Pacific School of Religion is a progressive, multidenominational seminary and center for social justice that prepares spiritually rooted leaders to work for the well-being of all. Rooted in the Christian tradition, PSR is home to a vibrant and diverse community of faculty, staff and students from a wide range of spiritual, religious and cultural backgrounds. Peking University is a major Chinese research university located in Beijing and a member of the C9 League. It is the first modern national university established in China. Practical Resources for Churches has been helping churches for almost three decades. The heart of their mission has always been the consultants who work with those in churches planning programs, retreats, and studies, as well as assisting those involved in other areas of ministry. The Presbyterian Church (USA), or PC(USA), is a mainline Protestant Christian denomination in the United States. A part of the Reformed tradition, it is the largest Presbyterian denomination in the U.S., and known for its relatively progressive stance on doctrine. The Presbyterian Outlook seeks to provide leaders and future leaders with a trusted source of accurate reporting, insightful analysis, thought-provoking commentaries and congregational resources. Quakers (or Friends) are members of a historically Christian group of religious movements generally known as the Religious Society of Friends. Quakers do not share a fixed set of beliefs. Their unity is based on shared understanding and a shared practice of worship, not on their beliefs all being the same. Queer Theology provides resources, encouragement, and support for LGBTQ Christians and straight, cisgender supporters and religious leaders. ReformJudaism.org seeks to provide content that describes and demonstrates the traditions and innovations of Reform Jewish life. Whether people are Reform, from a different stream of Judaism, “just Jewish,” interested in conversion, or merely curious, ReformJudaisn.org provides resources so all can reflect the engaging, inclusive, and welcoming aspects of Reform Judaism. “Teaching Tolerance” webinars are a project of the Southern Poverty Law Center and they offer helpful guidance and great ideas, from highly experienced teaching and learning specialists and from other educators in the Teaching Tolerance community. Their on-demand webinars support practices that can help reduce prejudice, improve intergroup relationships and promote equitable experiences for all students. Spiritual Directors International is an inclusive, global contemplative movement that contributes to peace, justice, and living in right relationship with all creation. They seek to change the world through the contemplative action of spiritual direction. This multifaith and interspiritual website, founded by Frederic and Mary Ann Brussat, is devoted to resources for spiritual journeys. Launched in 2006, Spirituality & Practice consolidates nearly 50 years of the work of the co-founders and their various publications and projects. Stanford University, located between San Francisco and San Jose in the heart of California’s Silicon Valley, is one of the world’s leading teaching and research universities. Since its opening, Stanford has been dedicated to finding solutions to big challenges and to preparing students for leadership in a complex world. The Transfaith Institute is a multi-tradition, multi-racial, and multi-gender non-profit organization and learning community led by transgender people. Udemy is one of the world’s online learning marketplace, where millions of students take courses in everything from programming to yoga to photography–and much, much more. The Unitarian Universalist Association (UUA) is the central organization for the Unitarian Universalist (UU) religious movement in the United States. Their faith tradition is diverse and inclusive. They grew from the union of two Christian groups: the Universalists, and the Unitarians. Both groups trace their roots in North America to the early Massachusetts settlers and the Framers of the Constitution. Canada’s largest Protestant denomination, the United Church of Canada was formed in 1925 through a union of Methodist, Presbyterian, Congregational, and other Christian churches. The United Church of Canada is a church with a rich, progressive, and continuing history of welcoming all in the name of Christ. The United Synagogue of Conservative Judaism is a network of kehillot – sacred communities – committed to a dynamic Judaism that is learned and passionate, authentic and pluralistic, joyful and accessible, egalitarian and traditional. United Synagogue of Conservative Judaism creates the spiritual, intellectual and managerial network that enables each of their kehillot to fulfill its sacred mission and connects all their kehillot with a common sense of community, shared mission and purpose. The University of California is a public university system in the U.S. state of California that has 10 campuses. UCLA’s primary purpose as a public research university is the creation, dissemination, preservation and application of knowledge for the betterment of global society. Discovery, creativity and innovation are hallmarks of UCLA. The University of Illinois at Urbana-Champaign is charged by their state to enhance the lives of citizens in Illinois, across the nation and around the world through their leadership in learning, discovery, engagement and economic development. One of America’s leading undergraduate teaching institutions, Notre Dame has been at the forefront in research and scholarship. The goal at The Upper Room is to offer you spiritual formation resources that are accessible anytime and anywhere. The Worship Design Studio is a part of who Dr. Marcia McFee is a professor, consultant, coach and visionary ritual artist. The WDS is an online resource designed to inspire and educate worship staff and volunteers, as well as provide them with the tools they need anytime right where they are. Yale University is an American private Ivy League research university in New Haven, Connecticut. Since its founding in 1701, Yale has been dedicated to expanding and sharing knowledge, inspiring innovation, and preserving cultural and scientific information for future generations.